Villa established inside of Seminyak’s heart, it is a hidden gem with Euro style building in Bali. 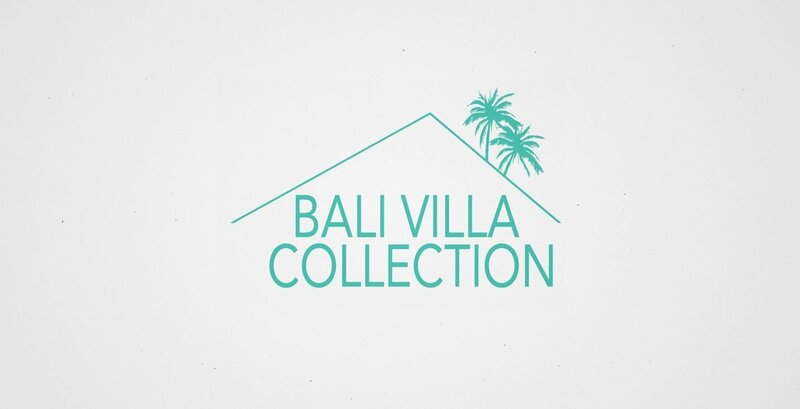 Situated on quiet part of Seminyak – Bali, the villa offers a peaceful ambiance and atmosphere. With short stroll, you will enter hustle bustle of Seminyak’s eat streets. You will easily able to find many major brand of boutiques and famous café or restaurants. Beaches are only short walk away and it is easy in and out from Kencana Villa. The villa itself can accommodate up to six adults and three children. Furnished with complete kitchen and dining area, Kencana Villa is a perfect family vacation rental in Bali. Kencana Villa also have spacious private swimming pool adjacent with garden and outdoor shower. It is also perfect spot for petite party to arrange bachelor or bachelorettes. The villa has open kitchen concepts, it is offering full-equipped kitchen for family usage. You able to cooks your favorite’s meals. Cutleries, chinaware, glassware and cooking utensils already arranged. Gas stove and microwave available. You also may ask the staff to do grocery shopping by arrangement. The convenience pool itself size 5 meters x 11 meters. It is a perfect place to lazy down and enjoying your holiday in Bali. Sun beds are available to enjoy warm breeze of tropical sunshine inside Kencana Villa. The villa also have private parking space to keep your vehicle secured. Main Living Area (Open-air living area, Television with international channels & DVD player, HiFi sound system). Bedroom 1 (Ensuite bathroom with bathtub, Double size bed, Air-conditioning, Ceiling fan, Television with international channels & DVD player, Sofa, Toiletries, Wardrobe). Bedroom 2 (Ensuite bathroom with bathtub, Air-conditioning, Ceiling fan, Toiletries, Wardrobe). Kitchen and Dining (Open-air kitchen & dining area, Cutlery, chinaware & glassware, Water Dispenser, Microwave, Full-size refrigerator, Dishwasher). Additional Living Area 1 (Lounge setting). Services Performed by Staff (Cook, Maid, Housekeeper, Security, Swimming Pool Attendant, Garden, Attendant). Swimming Pool Area (Private swimming pool, Poolside sunlounges with umbrellas). Airport transfer (arrival only), Welcome drink upon arrival,Welcome fruit basket/ platter upon arrival, Free Wi-Fi, Drinking Water, Coffee & tea, Housekeeping service daily. The villa is an ultra-contemporary villa complex of three stunningly designed pool villas, offering stylish modern living and a luxurious bolt-hole in the chic urban village of Petitenget, in Greater Seminyak. Positioned side by side along a private, quiet cul-de-sac, the luxurious three villas of three-bedrooms offer essentially the same architectural lay-out, size and features, but with different interior design interpretations. The villa offers a marvelous feel of spaciousness and provides the latest in modern facilities – including a flat screen LED TV, iPod stations, WiFi Internet and solar powered water heating. Quality materials used extensively throughout feature terrazzo and palimanan stone, marble and natural woods, while floor to ceiling windows and glass sliding doors allow in natural sunlight and cooling breezes. Each villa encircles a walled garden of lawns and calming water pools, with centre-stage 12m pool with integrated Jacuzzi and timbered deck. An open-sided Bale (Balinese gazebo) and outdoor seating arrangements – each villa providing their own set-up – offers perfect poolside relaxation and al fresco dining. Within the main building, the semi-open ground-floor reveals an open-plan living- dining area, complete with fully- equipped kitchen with the latest appliances and teak dining table seating eight. Adjoining here is an all-enclosed TV / Lounge room, plus small washroom with shower. A palatial, ultra-chic Master Suite takes over the entire upper floor, complete with centre-piece reversible wall section with flat screen LED TV – offering TV viewing options in bed or from the sofa corner – while the generously-sized, en-suite bathroom, with sunken stone bath, leads out to a private rooftop terrace. Two smaller detached bedrooms, designed in similar style, are linked either side of the main building by timbered walkways across pools, and provide more privacy. Main Living Area (Semi open-air living area, Television & DVD player, HiFi sound system). Bedroom 1 (Ensuite bathroom with bathtub, Double size bed, Air-conditioning, Television with international channels & DVD player, Sofa, Toiletries, Wardrobe, Terrace outside bedroom). Bedroom 2 (Ensuite bathroom with bathtub, Double size bed, Air-conditioning, Television with international channels & DVD player, Sofa, Toiletries, Wardrobe, Terrace outside bedroom). Bedroom 3 (Ensuite bathroom with bathtub, Double size bed, Air-conditioning, Television with international channels & DVD player, Sofa, Toiletries, Wardrobe, Terrace outside bedroom). Kitchen and Dining (Semi open-air kitchen & dining area, Fully equipped kitchen, Kitchenette, Water Dispenser, Cutlery, chinaware & glassware, Microwave, Full-size refrigerator, Dishwasher). Services Performed by Staff (Cool, Driver, Maid, Housekeeper, Security, Swimming Pool, Attendant Garden Attendant). Airport transfer (arrival only), Welcome drink upon arrival,Welcome fruit basket/ platter upon arrival, Flower arrangements in the villa upon arrival, Breakfast daily, Free Wi-Fi, Drinking Water, Coffee & tea, Housekeeping service daily. The villa dedicated staff provide butler service and English-speaking guest relations, welcome drink and snacks, daily housekeeping, daily breakfast and turn-down service with cookies gift, plus 24-hour security. Although hidden away in quiet back streets that still yield traditional Balinese life, K Villas is situated in the heart of Petitenget, a fast emerging coastal suburb with a wildly beautiful surf beach and increasing number of world-class gourmet restaurants and watering holes just several minutes away. South of here lies trendy Seminyak, a cosmopolitan enclave crammed with some of Bali’s most stylish shopping, nightspots, dining and spas: BPM provides daily shuttle services to central Seminyak as well as its private beach club at Seminyak Beach. Kitchen and Dining (Semi open-air kitchen & dining area, Fully equipped kitchen, Cutlery, chinaware & glassware, Microwave, Full-size refrigerator, Dishwasher). Airport transfer (arrival only), Welcome drink upon arrival,Welcome fruit basket/ platter upon arrival, Breakfast daily, Free Wi-Fi, Drinking Water, Coffee & tea, Housekeeping service daily. Kitchen and Dining (Open-air kitchen & dining area, Fully equipped kitchen, Cutlery, chinaware & glassware, Microwave, Full-size refrigerator, Dishwasher). Services Performed by Staff (Maid, Housekeeper, Security, Swimming Pool, Attendant Garden Attendant). Airport transfer (arrival only), Welcome drink upon arrival,Welcome fruit basket/ platter upon arrival, Flower arrangements in the villa upon arrival, Breakfast daily, Free Wi-Fi, Drinking Water, Coffee & tea, Housekeeping service daily, Laundry service. Surrounded by the serene beautiful nature, The Villas is a sanctuary at the heart of Gianyar Regency of Sukawati – Kemenuh. Escape from the daily routines and feel the positive vibe of Ubud. The moment you arrive at the villa, allow yourselves to be mesmerize with the peaceful sound of nature. Enjoy a total privacy, tranquility and be captivated with the magical surrounding of lush greenery, beautiful rice fields, and the true Balinese village charm. This intimate boutique resort offer an exclusive collection of six luxurious units within a secured compound, luxurious pool villas with Balinese artful touches. Each villa is carefully presented to perfection, featuring king-sized bed air-conditioning rooms, en-suite bathroom with marble finishes and luxury amenities. The floor-to-ceiling glass windows surround the living and dining area, allowing you to enjoy the uninterrupted view of the beautiful landscape around the villa. The villas Kemenuh is sanctuary for discerning travellers, honeymooners and group of friends and family. The villa is ideal to host a private party, romantic dinner by the pool and we are delighted to catered for all your needs. Good selection of Western and Indonesian food and beverage is available at Bidadari Terrace, located on the second floor. The villas is ideally located a within minutes to the famous Tegenungan Waterfall, Sukawati Art Market, Ubud centre, Monkey Forest and the famous Puri Ubud (Ubud Palace). Indulge in the true beautiful experience awaits at this villas, Kemenuh. Bedroom 1 (Ensuite bathroom, King size bed, Air-conditioning & ceiling fan, Television with international channels & DVD player, Sofa, Toiletries, Wardrobe, Terrace outside bedroom). Bedroom 2 (Ensuite bathroom, King size bed, Air-conditioning & ceiling fan, Television with international channels & DVD player, Toiletries, Walk-in wardrobe, Wardrobe, Study desk, Terrace outside bedroom). Bedroom 3 (Ensuite bathroom, Single size bed x 2, Air-conditioning & ceiling fan, Television, Toiletries, Walk-in wardrobe, Wardrobe, Study desk, Terrace outside bedroom). Kitchen and Dining (Open-air kitchen & dining area, Cutlery, chinaware & glassware, Microwave, Full-size refrigerator, Dishwasher). Additional Living Area 1 (Billiard table). Miscellaneous (Billiard table, Safety deposit box). Services Performed by Staff (Driver, Housekeeper, Security, Swimming Pool Attendant, Guest Services Assistant, Garden Attendant). Airport transfer (arrival only), Welcome drink upon arrival,Welcome fruit basket/ platter upon arrival, Breakfast daily, Free Wi-Fi, Drinking Water, Coffee & tea, Housekeeping service daily, Laundry service. Surrounded by the serene beautiful nature, Khayangan Villas is a sanctuary at the heart of Gianyar Regency of Sukawati – Kemenuh. Escape from the daily routines and feel the positive vibe of Ubud. The moment you arrive at the villa, allow yourselves to be mesmerize with the peaceful sound of nature. Enjoy a total privacy, tranquility and be captivated with the magical surrounding of lush greenery, beautiful rice fields, and the true Balinese village charm. The villas is ideally located a within minutes to the famous Tegenungan Waterfall, Sukawati Art Market, Ubud centre, Monkey Forest and the famous Puri Ubud (Ubud Palace). Indulge in the true beautiful experience awaits at Khayangan Villas, Kemenuh. Kitchen and Dining (Open-air kitchen & dining area, Fully equipped kitchen, Cutlery, chinaware & glassware, Water Dispenser, Microwave, Full-size refrigerator, Dishwasher). Services Performed by Staff (Driver, Housekeeper, Security, Swimming Pool Attendant, Garden Attendant). Main Living Area (Semi open-air living area, Air-conditioning & ceiling fan). Bedroom 1 (Ensuite bathroom with bathtub, King size bed, Air-conditioning, Television with DVD player, Toiletries, Walk-in wardrobe, Wardrobe with safety deposit box, Terrace outside bedroom with sofa). Services Performed by Staff (Villa Supervisor, Guest, Services Assistant, Housekeeper, Security, Swimming Pool Attendant, Garden Attendant). The villa has emerged from the extensive travels of a couple around Indonesia and other parts of the world – distilling from their experiences an ideal for the location, design and building of a villa in Bali that they, their family and friends would truly enjoy. Months of searching led to the village of Lod Tunduh, near Ubud, to find the land for the villa and then engage a well-respected Balinese architect to transform their ideas. The couple became captivated by the site, its calming environment, its spiritual connection to the holy spring temple by the Ayung River which the villa overlooks, the cool air flow from the valley and the villa being embraced by the warm friendship of the local village community of Mawang. The villa offers graceful and luxurious living in a serene and virtually secluded setting, with a picture-book view of the Ayung River. It is just 15 minutes’ drive from the centre of Ubud, the thriving cultural and artistic heart of Bali and yoga capital of South East Asia. The villa is derived from the holy spring temple the villa overlooks by the Ayung River and where villagers perform traditional ceremonial blessings. The allure of Balinese culture is blended with modern luxury in the architecture and facilities of the villa — idyllic for couples or groups seeking their get-away holiday, as well as for families who seek a very relaxing and secure environment. Guests frequently remark on the refreshing air that flows through the villa due to its siting above the river and next to picturesque teak trees, which add to the tropical outlook. Friendly and welcoming staff complement the excellent range of facilities available. Bedroom 2 (Ensuite bathroom, King size bed, Air-conditioning & ceiling fan, Television with international channels & DVD player, Toiletries, Wardrobe, Study desk, Terrace outside bedroom). Bedroom 2 (Ensuite bathroom, King size bed, Air-conditioning & ceiling fan, Toiletries, Wardrobe, Study desk, Terrace outside bedroom). Kitchen and Dining (Open-air kitchen & dining area, Fully equipped kitchen, Water Dispenser, Cutlery, chinaware & glassware, Microwave, Full-size refrigerator, Dishwasher). Services Performed by Staff (Housekeeper, Security, Swimming Pool Attendant). Outdoor Entertaining (Undercover outdoor entertaining area, Billiard table, Outdoor setting). Bedroom 3 (Ensuite bathroom, King size bed, Single size bed x 2, Air-conditioning & ceiling fan, Television with international channels & DVD player, Toiletries, Wardrobe, Terrace outside bedroom). Outdoor Entertaining (Undercover outdoor entertaining area, Outdoor setting).